Albanians head to the polls on Sunday (June 25) in a general election set to gauge the Balkan nation’s readiness to join the European Union. The former Communist country has been a member of NATO since 2009 and an official candidate for EU membership since 2014. Socialist prime minister Edi Rama hopes to be returned to office and secure a majority to push through judicial reforms vital for EU accession. Rama has in particular pledged more progress on sacking corrupt judges as well as improving property rights. He is up against the centre-right Democratic Party of Lulzim Basha, who has promised to cut taxes to boost the economy. A former foreign minister and former mayor of the capital Tirana, he accuses the government of failing to fight drug trafficking and organized crime – two major sore points in Albania’s EU bid. Opinion polls give the Socialists a double-digit lead over the Democratic Party, but it is not clear whether the outgoing premier could, for his second term, garner enough support to win an outright majority in the 140-seat parliament. 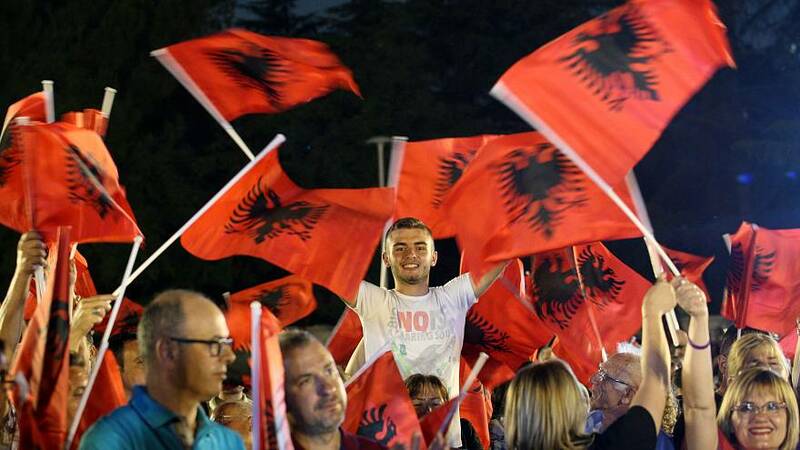 The risk is that Albania’s newly elected president Ilir Meta may once again hold the role of kingmaker. His centre-left Socialist Integration Movement has been a key coalition partner for both parties over the last eight years. Whatever the outcome of Sunday’s election, the two frontrunners have said they will jointly ask Brussels to advance towards EU accession.